. 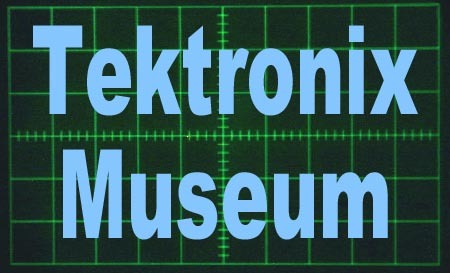 . . A History of Tektronix . . . In 1946, Howard Vollum and Jack Murdock formed Tektronix and began manufacturing the 511 in 1947. Tektronix developed a way to accurately measure and display high-speed electrical signals and quickly became the foremost supplier of oscilloscopes. 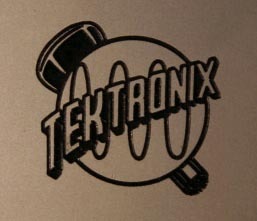 By 1960, Tektronix was Oregon's largest manufacturing firm. It was very profitable and invested much of those profits into new product development. It attracted and retained a cadre of talented technical employees, many of whom would leave Tektronix to start high-tech firms in later years. By the '70s, Tektronix had approximately 20,000 employees. In 1999, Tektronix sold its color printing operations to Xerox* and its video and networking business to a private investor. Tektronix is once again a company focused on test, measurement and monitoring technology. Anyone who has worked with the older units develops a respect for what the company actually did. Back in days when Black and white TV was around they were building precision equipment. I find it interesting when I see movies from the '60s and see Tektronix scopes in the background. You will find, in this site, a listing of older models by series with bandwidth specifications where applicable. When possible, I have tried to include a clear picture of the unit.